By Brian Voo in Desktop. Updated on November 12, 2017 . If your line of work requires you to copy and paste many different and sometimes duplicated items, you’ll know that the Windows clipboard only holds one ‘copy’ at a time. If you ever wanted to be able to copy and paste multiple sentences, then you should try this advanced clipboard manager called Clipomatic. If you use Windows keyboard shortcuts all the time, then you should know that Ctrl + C is for copy and Ctrl + V is for paste – and you can only paste the last item that you copied. With Clipomatic, you can paste what you’ve copied 10 times ago by pushing Ctrl + Alt + V (or a custom combination), then selecting one of your last 10 (or more) copies. Go ahead and download Clipomatic from this website. You’ll have a ZIP file with a single installer file inside. It is important to extract the installer. Right-click on the installer, click on Run As Administrator and go through the installation process. Note: You might need to restart your computer to get it running. 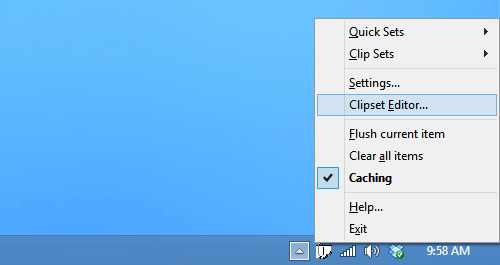 You’ll know its running when you have the Clipomatic taskbar icon located on the bottom right corner where you can find more customizable options. In the settings, you can customize the ‘Paste Key’ and number of copies to keep by changing the number of ‘Cache Items’. Instead of clicking to launch the program every time your computer starts up, you can choose to Load on Startup. As for other settings available, you do not need to change anything as it works fine on the default settings. 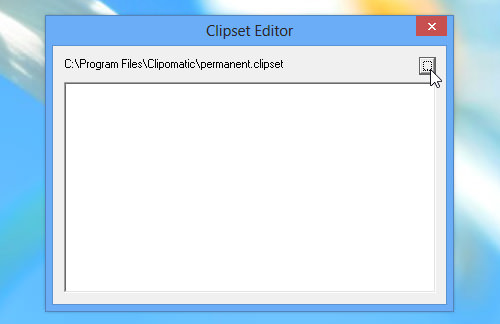 Clipomatic works with other text editing programs. 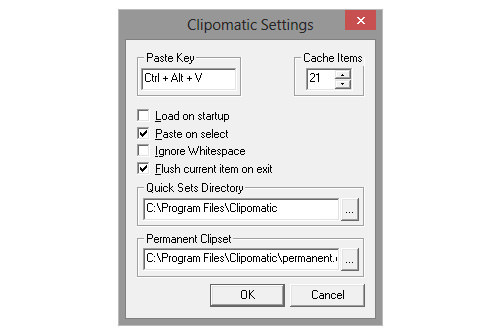 However, try to select a Paste Key which is not a default keyboard shortcut of the program you’re using. Once you’ve assigned your Paste Key, you can begin copying multiple words or sentences. 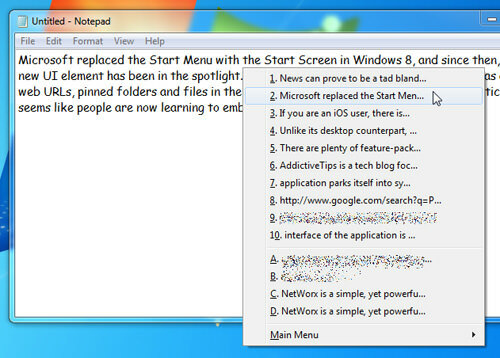 To paste, press your assigned Paste Key and a menu will pop up, showing you a list of things you have copied. You can click on one of the copies or press a number on your keyboard to paste the corresponding sentence. You have the option of setting permanent copies that will always be shown in the menu. 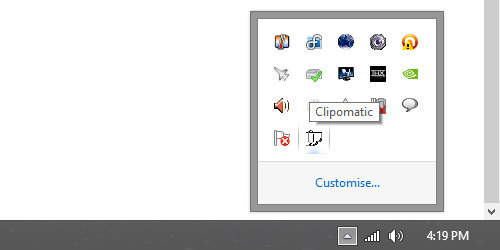 You edit this list by Right Clicking on the Clipomatic taskbar icon and going to Clipset Editor. A new window will open. Make sure permanent.clipset is selected; you choose this by pressing the browse button (square button on top right) to browse for it. Right click anywhere in the white box in Clipset Editor and select New. Another ‘Item’ window will appear where you can input a word or sentence that you want permanently in your clipboard. Click OK and add more items. Close the Clipset Editor when you’re done. Now, when you press your Paste Key, you’ll be able to paste whatever you have added into the permanent clipset. If you’re looking for a powerful and customizable clipboard manager, Clipomatic is a small and easy to use program that makes your Copying and Pasting process easier and faster. Would you be using Clipomatic?